Pensacola State College’s cybersecurity team recently took second place at the 2018 ITEN (Innovation Technology Entrepreneurship Network) Wired Summit held Oct. 1-2 at the Hilton Pensacola Beach. Members of the PSC Cyber Defense Team are Justin Eldridge, Tyler Gorup, Patrick Owens, Marie Perry, Daniel Pieknik and Daniel Pitsenbarger. Adjunct professor Karin Carter is the team advisor. This is the third year Pensacola State has placed at or near the top in the ITEN Summit. In 2016, the College’s team won first place at the competition, and in 2017, the team captured second place. 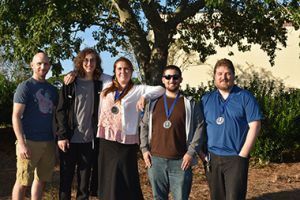 The University of West Florida cybersecurity team won first place this year, while the Gulf Coast State College team finished third. The annual summit, hosted by IT Gulf Coast and Florida West Economic Development Alliance, provides networking and learning opportunities for executives, entrepreneurs, technology professionals, and academia to foster local economic development efforts surrounding innovation, technology and entrepreneurship. Owens, the team captain and founder, said the PSC group performed more like a team during the 2018 competition. The team is now competing in National Cyber League events and preparing for CyberThon 2019. 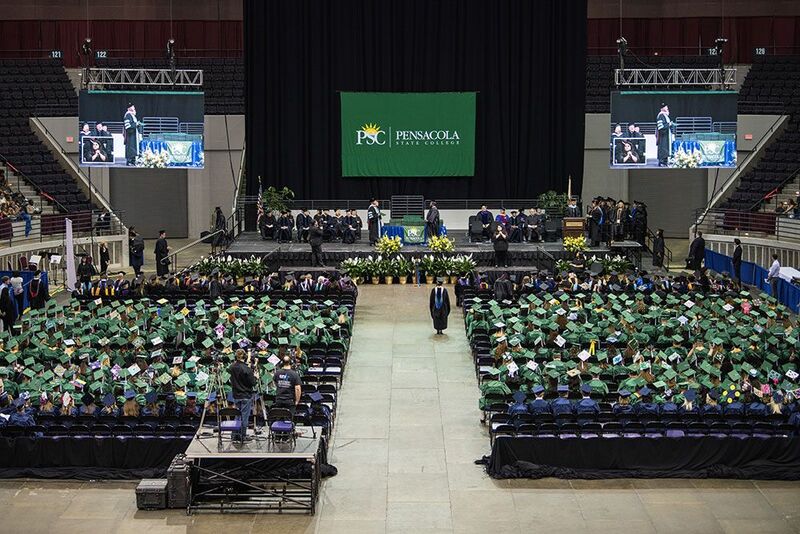 Robert Pratten, Pensacola State’s assistant professor of the Information Technology Programs, said the College’s hands-on learning environment prepares students for real-world scenarios. 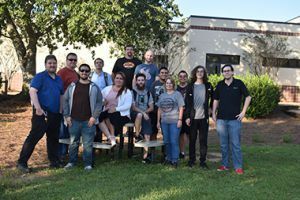 The cybersecurity team has grown into a club – the PSC Cyber Defense Club which meets bi-weekly on Thursdays. The club also holds pen testing labs on the second and fourth Saturdays. Pen testing, or penetration testing, is more commonly known as ethical hacking. The exercise involves an authorized simulated attack on a network system and is performed to evaluate the network system’s security. Eldridge, Gorup, Owens, Perry, Pieknik and Pitsenbarger are members of the PSC Cyber Defense Club. Other club members are Adam Richard, Alex Huggett, Andrew Hennard, Anthony Ferrer, Asa Berdahl, Brandon Harter, Brett Longo, Carlos Carey, Carrie Helm, Chris Puglisi, Christopher Doran, Christopher Startz, Connar Moore, Dalton Kenley, Daman West, David Miller, Drew Gowan, Edwardo Drisdell Jr., Eric Carlson, Frank Olivas Jr., Garrett Caudill, Garrett Smith, Gary Walters, Giang Le, Jacob Perry-Finley, Jackson Gardner, Jesse Barton, Jesse Reitz, Jessica Pool, Jonathan Morton, Joshua Paquette, Karol Robertson, Kevin Thompson, Kiley Godwin, Kyle Force, Kyle Johnson, Mark Hodges, Maxwell Whitson, Mercedes Demby, Michael Beck, Mike Hancock, Nathaniel Mathias, Neil Jade Barbon, Nick Holt, Prentiss Berry, Ryan Folsom, Sarah Bui, Stephanie Hu, Steven Gill, Sylvie Gerszt, Theodore Sumrall, Tom Whittington, Troy Byrd, Tyler Roswold and Zach Cady. Pratten is the PSC Cyber Defense Club’s main advisor, and Joshua McSwain is the co-advisor. Carter is the club’s coach.